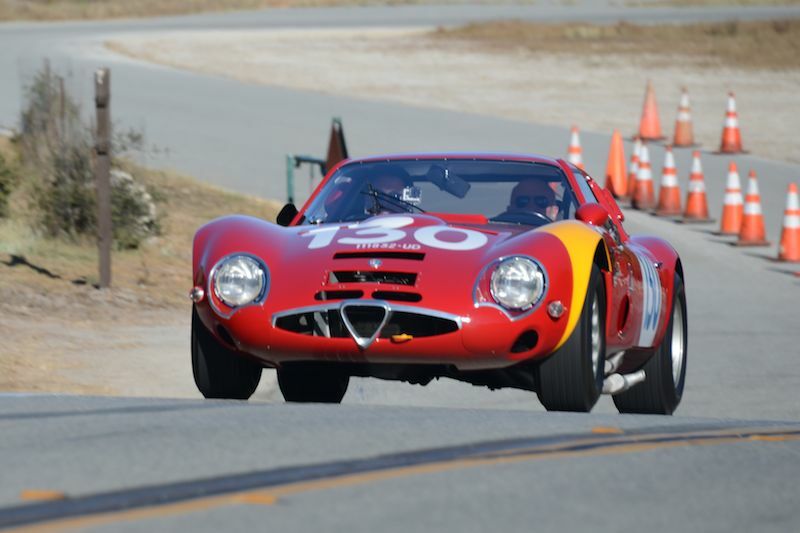 I got a chance to drive an Alfa Romeo Giulia TZ2, the ultimate postwar Alfa, at Monterey. The Monterey week is full of marvelous sights and sounds, but for the most part onlookers are just that, enthusiastic witnesses to an intermittent parade of Ferraris, Porsches, Mercedes-Benzes, Jaguars, Lotuses, Alfas, Allards, Delahayes, Bugattis and all manner and shape of automobiles usually seen in books. 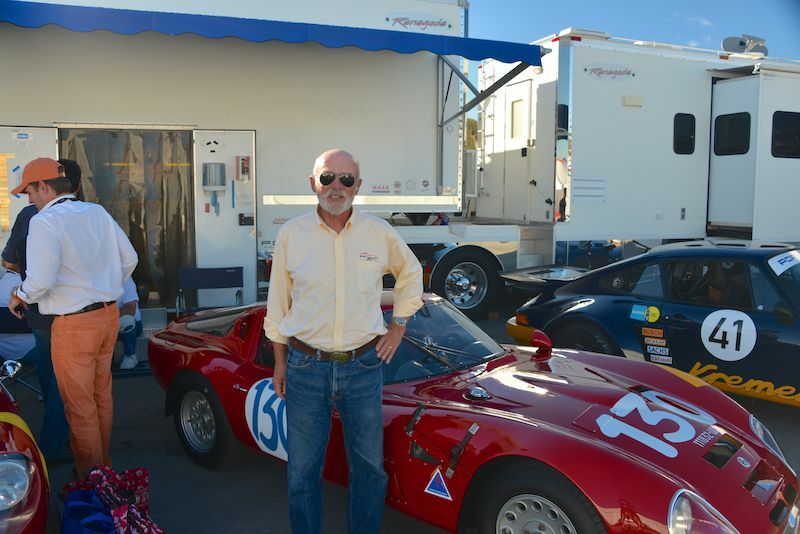 We witness, we smile, we glance quickly in our rear view mirrors while enmeshed in the Route 1 traffic jams, or stop to admire cars usually seen in museums or Concours d’Elegance parked in downtown Monterey. 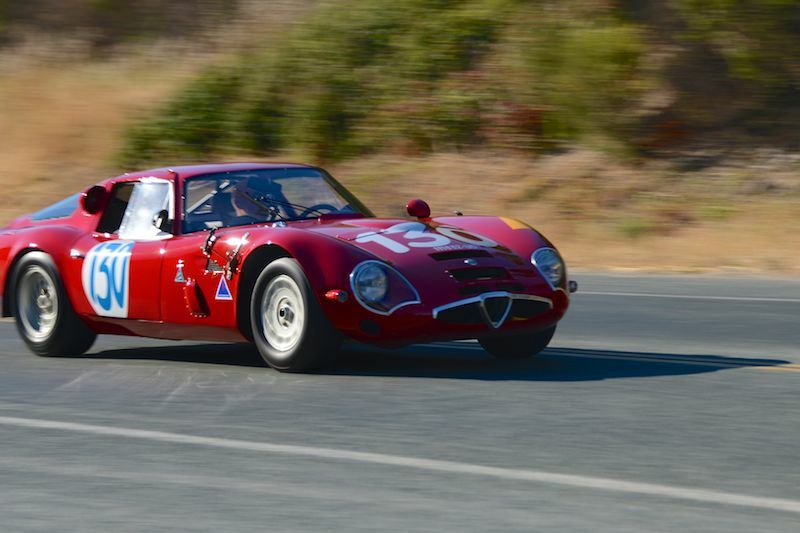 This year I was one of the fortunate ones who got to drive one of the most rare and distinctive cars on the peninsula, Bill H. Lyon’s 1965 Alfa Romeo Giulia TZ2, s/n 750.106. 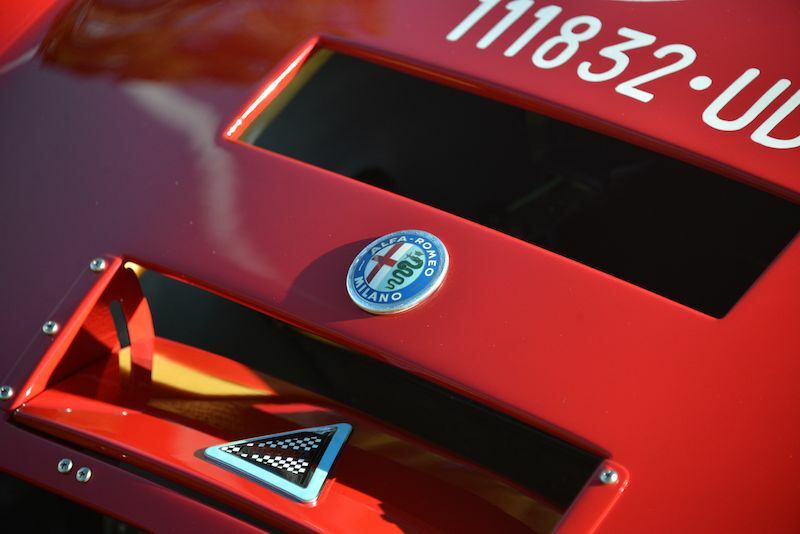 In Alfa history there are many great cars – 8C Monzas, 6C 1750 Spiders and the great 8C Two-Nines to pick just a few from the prewar era. Postwar there are fewer. None of them rises to the stature of the TZ2. 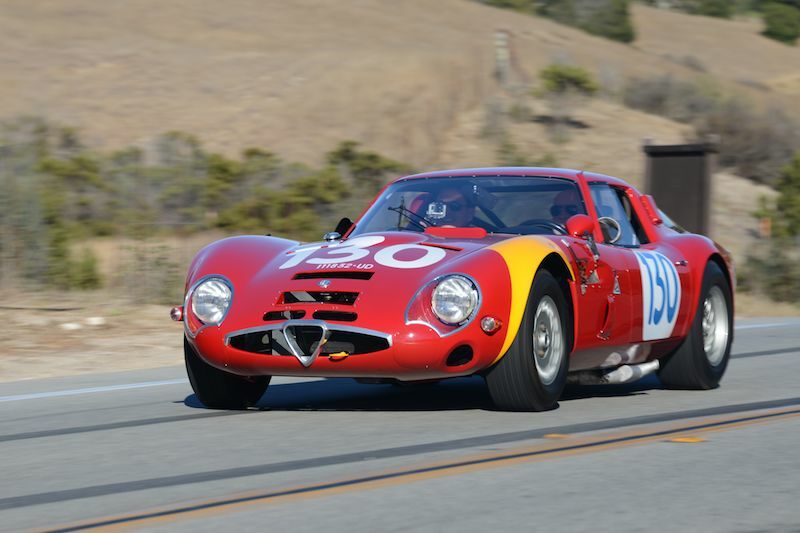 Weighing in at just under 1,700 pounds ready to race, the tube frame, fiberglass body TZ2 had something like 170hp from its 1,582cc dual ignition Giulia engine, a weight/power ratio of under 10 pounds/horsepower. 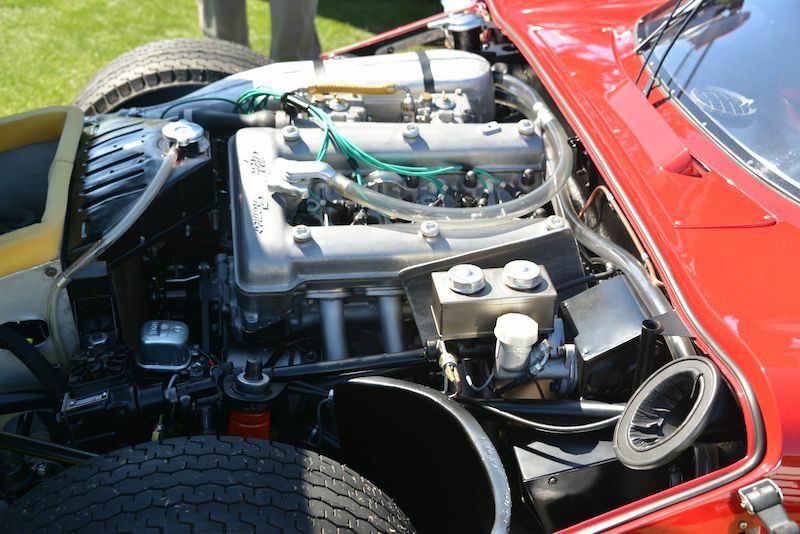 Restored in Phil Reilly’s shop with its original engine built to modern standards we had more power and no more weight despite the gorgeous restoration that earned it a spot in the 2009 Pebble Beach Concours d’Elegance. 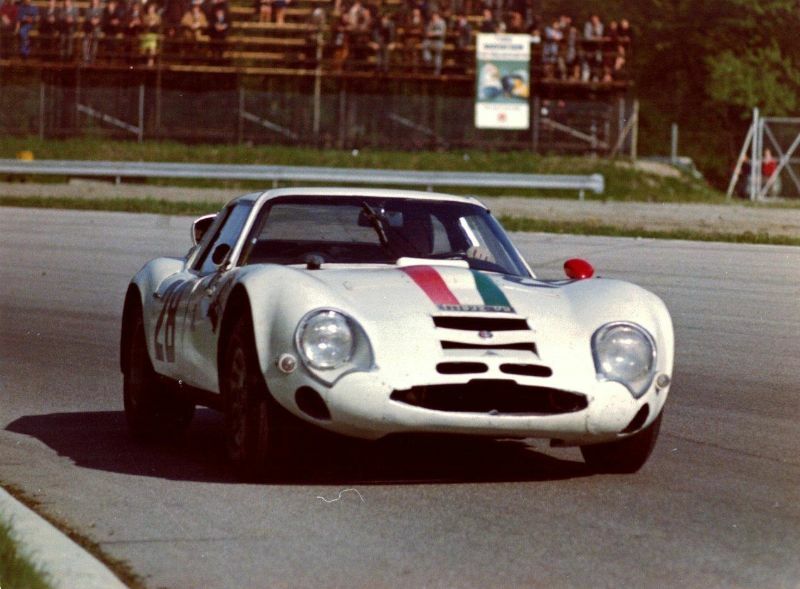 Raced by Autodelta, it was first in class at the 1965 Monza 1000km driven by Roberto Bussinello, raced at the Targa Florio in 1965 and 1966, finishing 10th overall and 2nd in class in 1966. 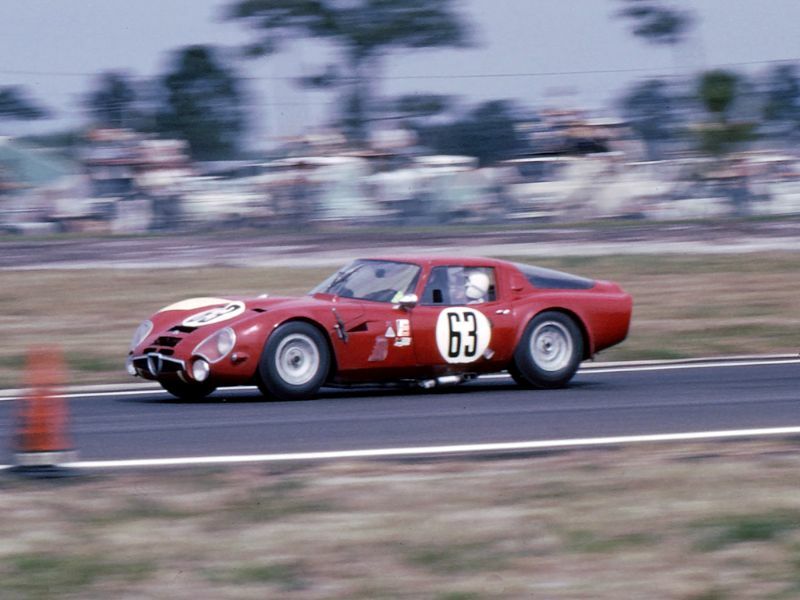 At Le Mans in 1965 it was, according to Autodelta records, car #63, 14th overall and 1st in class. 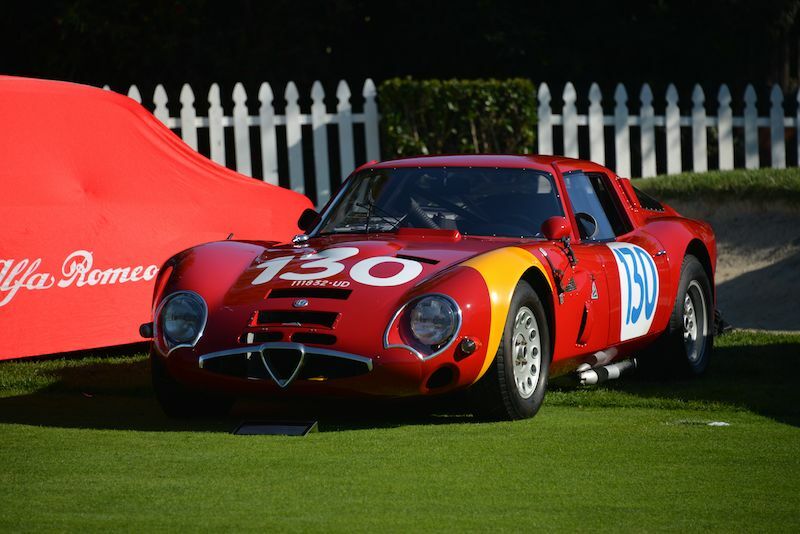 At Pebble Beach it was chosen by Gran Turismo producer Kazunori Yamauchi to receive the Gran Turismo Trophy for “the one car that exhibited the best balance of both artistic beauty and performance at the highest level”. It’s the TZ2 anyone can experience in the Gran Turismo simulator on PlayStation. I can attest it is even more exciting in living, breathing, noisy real life. In 2009 I had helped Bill establish its history, and acquire some of the parts left behind in Steve Forristall’s shop in Texas after he finished racing it. 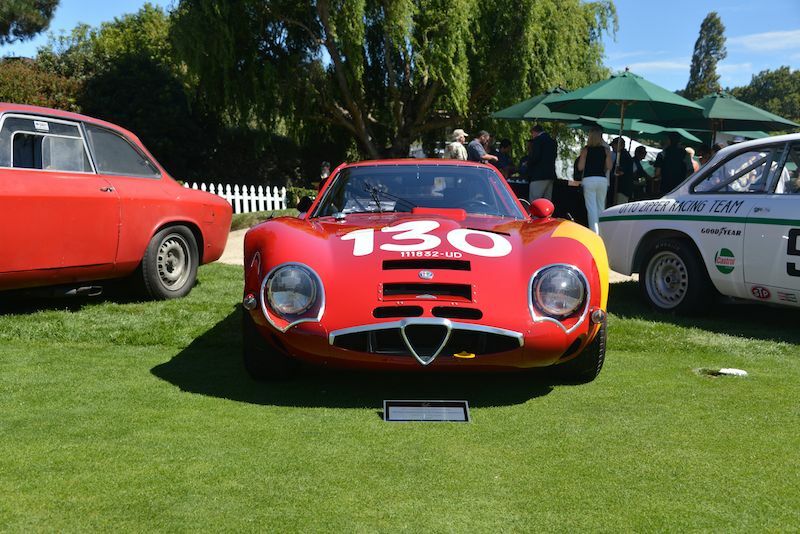 I’d watched it being judged at Pebble Beach, with a certain proprietary eye. 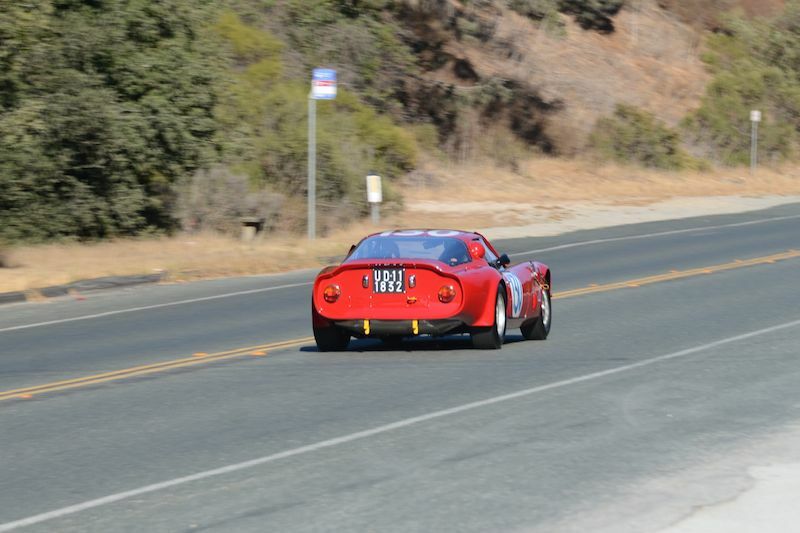 In 2013 it was a centerpiece at The Quail, A Motorsports Gathering — and my job [sic] was to drive it back from Carmel Valley across the Laureles Summit to Laguna Seca. 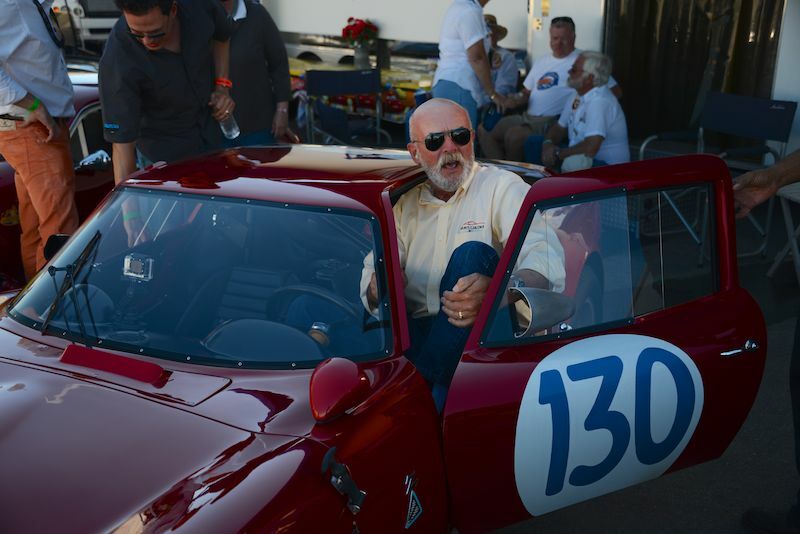 You may hear me asking Bill what the redline is (it’s not on the tach.) He says, “Oh, 7500 or eight thousand.” Oh, blessed heaven. 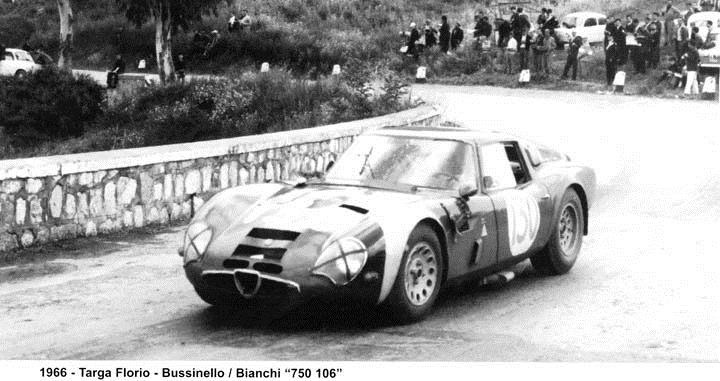 The car is so light, and the engine so strong, that getting on the throttle twists it to the right, lifting off has the opposite effect. There are comments about “These old bones.” The doors don’t open very wide and for a while I thought I might have to drive it one-footed since I couldn’t seem to get my left foot into the cockpit. Getting out is not graceful. Inside, however, it is all business, with a perfect driving position and optimum pedal position. Someone put great thought into making the TZ2 a driver’s car. It is the loudest car on the planet. Rolling down the Laureles Grade in second gear off the throttle behind a truck was like sitting on a case of exploding firecrackers. I had the open back on the GoPro, but it doesn’t do justice to the sound of the left side exhaust and the completely insulation-free bodywork. It smells of warm fiberglass. It’s that kind of car. Would I do it again? I offered to drive it back down Route 1 to Los Angeles for Bill. I meant it. 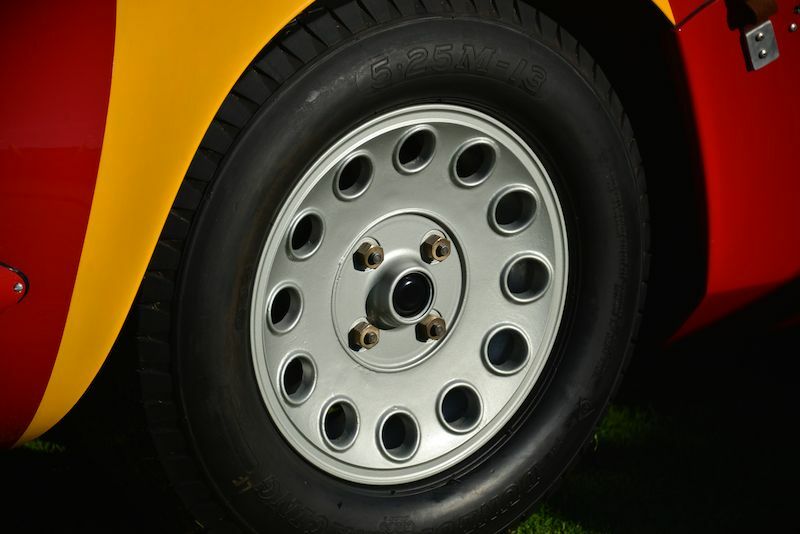 It’s just the coolest little car in the whole wide world. So light, so responsive, so precise, so powerful. 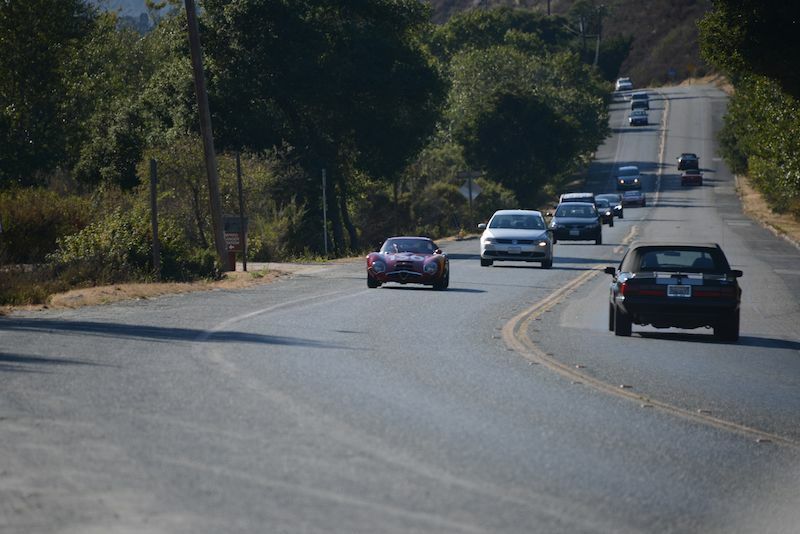 I hope if you passed me on Carmel Valley Road I waved, or at least you noticed the gleam of teeth in my constant smile. Thanks, again, Bill, for letting me have this experience. very nice video, made much, much better by the Lancia Aurelia B20 seen nearly at the end of the video, another light, lively car that the italians used to do se well. Oh how I envy you guys…. i do work at toyota in ashdod and we reconstruct classic cars as a fun thing. Moulds have been made of this car and there are number of replicas out there including some fakes! Just spectacular! Thanks for featuring this amazing piece of automotive perfection. 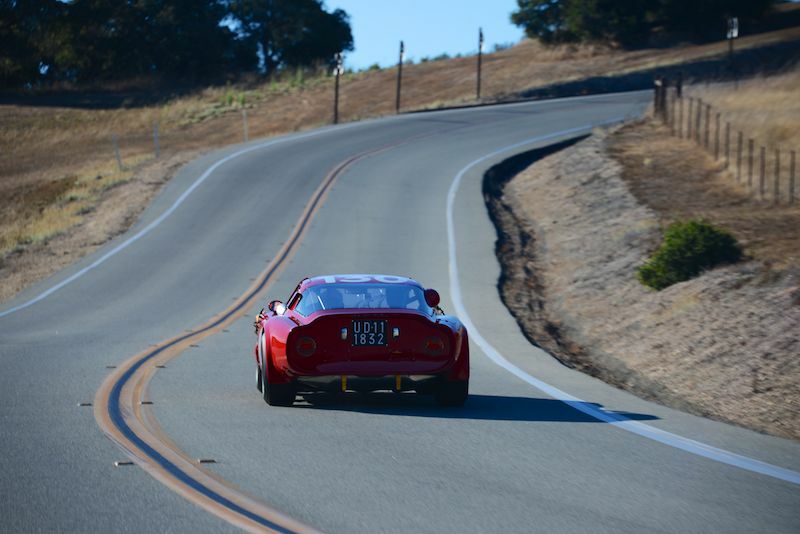 I’m looking forward to a drive in the new 4C, too. There was a mold of the front clip made of Steve Forristalls (John Mecums car actually) i know for sure. They had talked about pulling a body mold but i’m not sure if they did. In the mid 80’s, Steve was using a painter named Eric Hess, owner of Master Craft Auto Painting right down the street from his shop on I-10. Eric & his guys made the mold & pulled a lighter front clip. I cant remember if it was because Steve had damaged the nose so much from racing that it was getting too heavy from all the repairs or if he was getting too much understeer and was trying to correct it while keeping the car as stock as possible. Watching years later, this was just … magic. Thank you again and again, Bill. Yes, the sound, just like the rest of the car, is amazing from such a small package! Bet the chiropractors love to know that car is on an open road because they’ll be getting all those strained necks.